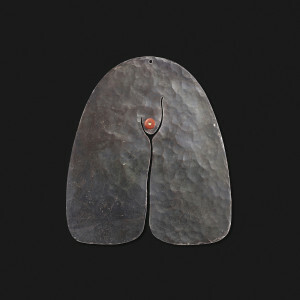 Silver has long been used as a luxe medium for metalworkers to create both works of art and objects for daily use. 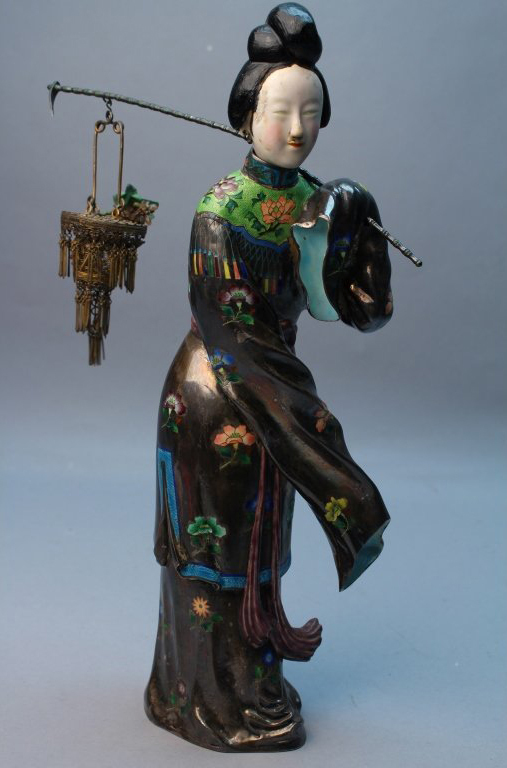 With current scrap value in the dumps, the time is nigh to get your hands on some prized pieces from our marketplace dealers and upcoming auctions. Ready your polish as these picks take you around the globe, from the Russians and Chinese to world renowned artists like Archibald Knox and Harry Bertoia. 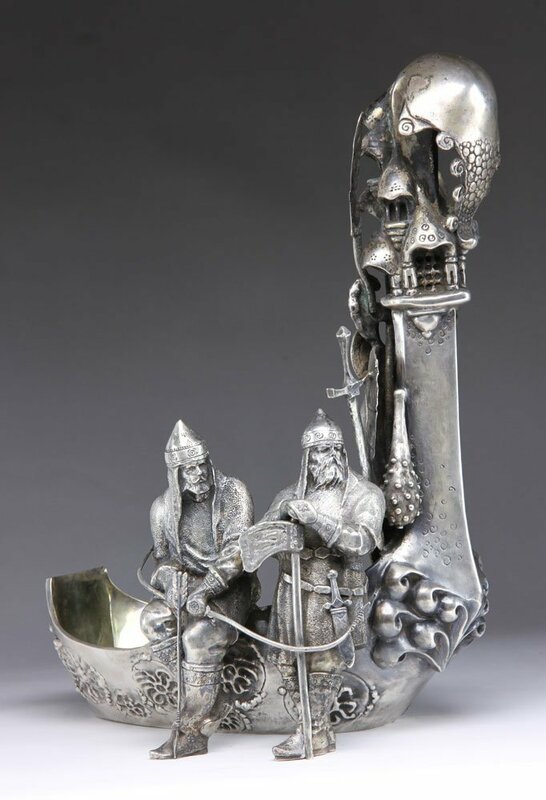 Russian solid silver kovsh, showing two Vikings with armor, marked “84” in Cyrillic for .875 silver, signed on base “P. Ovchinkova,” 168 ozt. 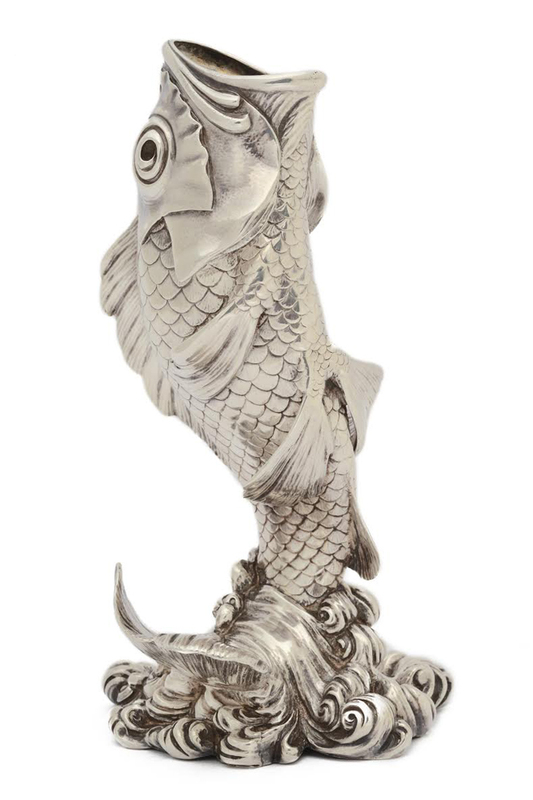 Silver vase in the form of a carp standing on his tail, with his mouth wide open. 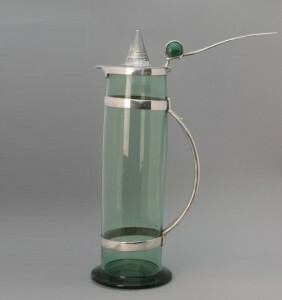 By Fabergé, Moscow, circa 1895. New York, Circa 1920, in urn form with three handles elaborately decorated with acanthus leaves and floral garlands. Socle and footrim with reeded edges. 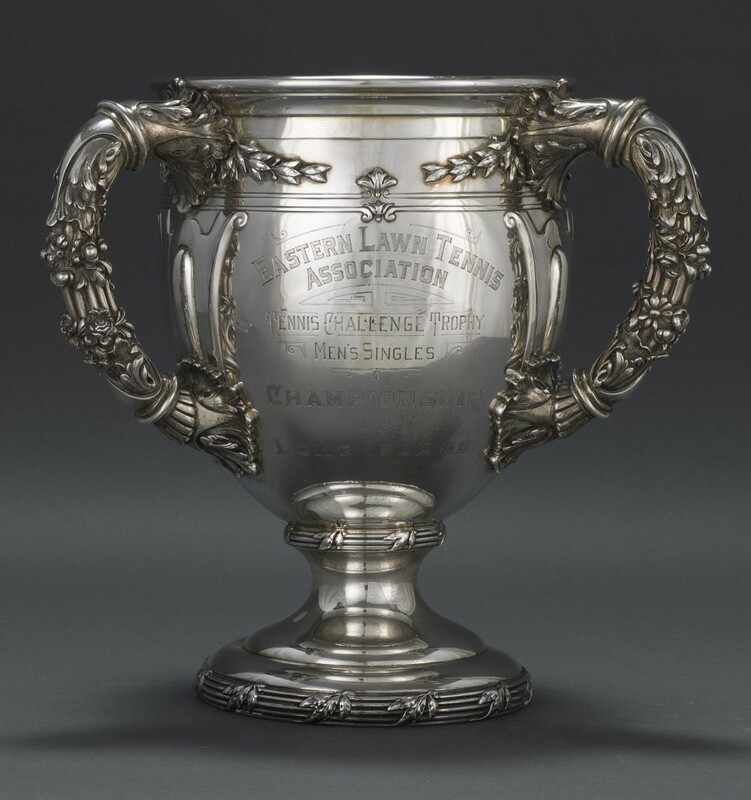 Inscribed Eastern Lawn Tennis Association Tennis Challenge Trophy Men’s Singles Championship of Long Island,” approximately 95.6 ozt. Green glass mounted in silver, with semi-precious stone set in the thumb piece, from the Cymric range launched in 1899; stamped L&Co., hallmarks for Birmingham, England, in several places and date mark for 1901. 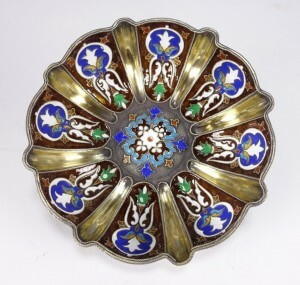 A Russian silver and enamel bowl. The bowl is intricately decorated with a stylized Art Nouveau pattern with multi-colored enameling on both the interior and exterior. The exterior coloring is in complete contrast to the interior of the bowl. The underside is stamped with the Russian state emblem followed by an unidentified makers mark in Cyrillic script. The assay mark identifies Vasily Aleksandrovich Petrov (1883-1893) as the Assay master dated 1883. The purity is stamped 88 followed by the town mark. Hallmarked: Elizabeth Godfrey, London, England in the year 1741; engraved with the Arms of the 2nd Earl of Stanhope. 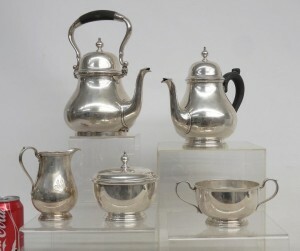 Five piece Tiffany sterling silver tea set. Includes teapot, coffeepot, cream, sugar and bowl. Monogrammed. Marked underside “Tiffany & Co./Makers/Sterling Silver/925-1000.” 2327 grams. 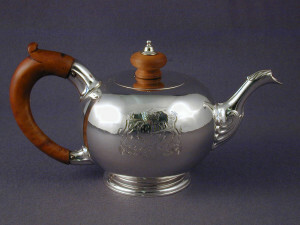 Weight includes non-sterling handles on coffee and teapots. With plum blossom decorated kimono. 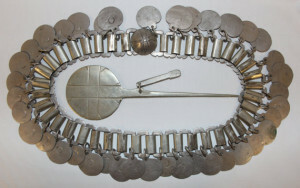 The Tratilongko is 23” long, has some 40 silver dangles some with small circles. The cloths pin is solid silver and is 7” long.